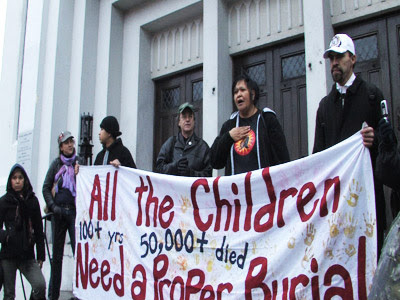 This week, host Kevin Annett is joined by indigenous elders and genocide survivors to reveal the Canadian Holocaust, and the Republic’s campaign to stop Canada’s murderous legacy. How will a post-Canadian nation undo its wrongs and live as equal partners with indigenous nations? Listen and join the movement, this Sunday, March 8 at 3 pm pacific, 6 pm eastern, at www.bbsradio.com/radiofreekanata . For background see : www.itccs.org , www.hiddennolonger.com .